I love a fast easy meal and Quiche is a really fast meal, plus you can add all kinds of things to make it a really filling dinner dish. I know I have shown this recipe before, but it is perfect for these really hot summer days. To make this quick and easy, I start with a roll out pre-made crust from the grocery, then gather all of my ingredients together. A glass of wine is great while you are mixing everything together. 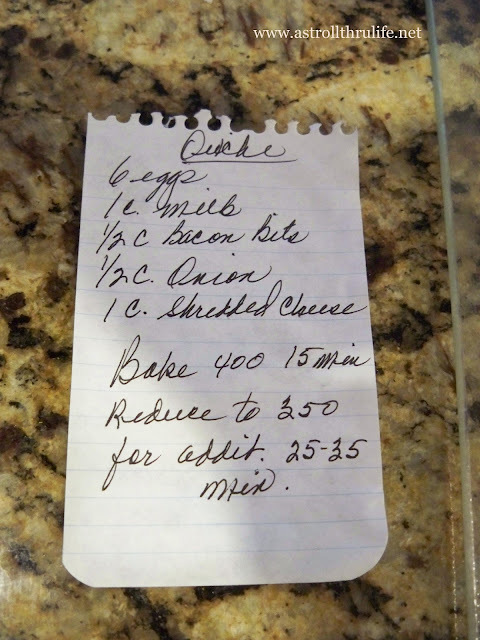 This is the recipe for a basic quiche, you can add all kinds of other ingredients. I like to clean out the fridge and see what all I can add. 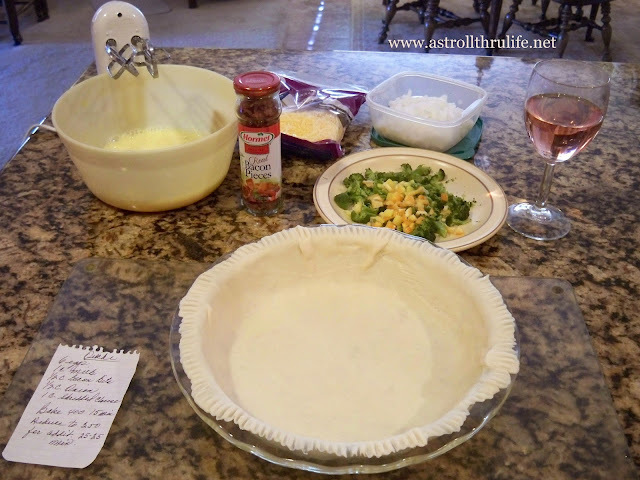 Once everything is all mixed together, I pour it into my pie shell. Bake as directed on the basic recipe and then let cool for about 5 minutes. Slice and serve with a green salad for a perfect dinner. Great for a quick and healthy lunch or a light Sunday dinner. I adore quiche! Thanks for the recipe! Oh my gosh how simple and delish. I would have never thought of bacon bits. Thanks for sharing Marty! Now I'm hungry. Excuse me while I go check out the frig. We love quiche too-looks like a great recipe! Great tip on using bacon bits! I will make this quiche this weekend with my granddaughter Isabella! Oh I love quiche, but only a piece. In Birmingham, AL you could get quiche everywhere, but here in Dallas, TX, well it is hard to find. I might just have to make some and freeze it. Your recipe looks delicious. That crust looks so yummy!!! Thank you for sharing. We make it without the crust and with vegetables as a frittata. It is a good meal on a hot day and of course there is enough for other meals, so that cuts down on the cooking. This looks so good...this will be on the menu for next week for sure! Thanks for sharing! Looks yummy Marty! Love the bacon and the crust. That looks so good!!! I love the pre-made crust. I use it all the time. Looks delish!! I'm always looking for simple, light meals for the summer and this one really fits the bill. Thanks so much for sharing this yummy recipe, Marty. 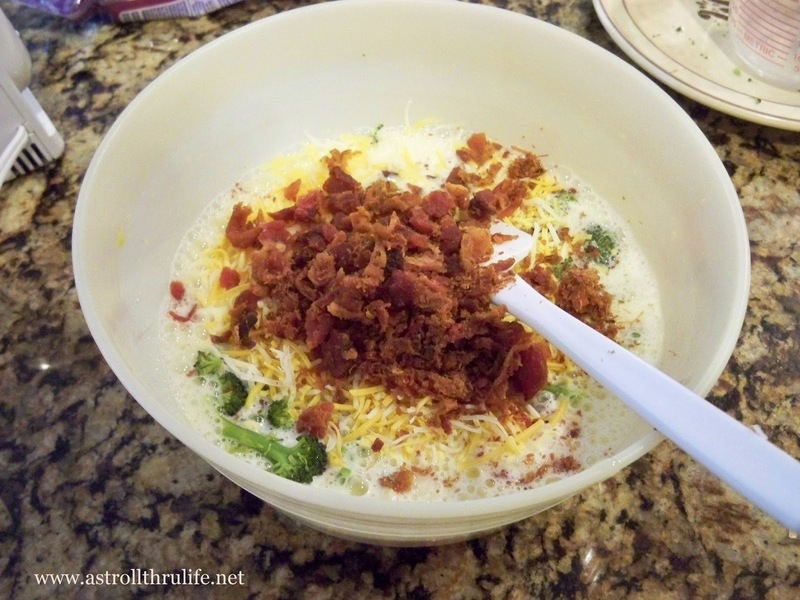 I think I'm going to attempt it for brunch on Sunday! 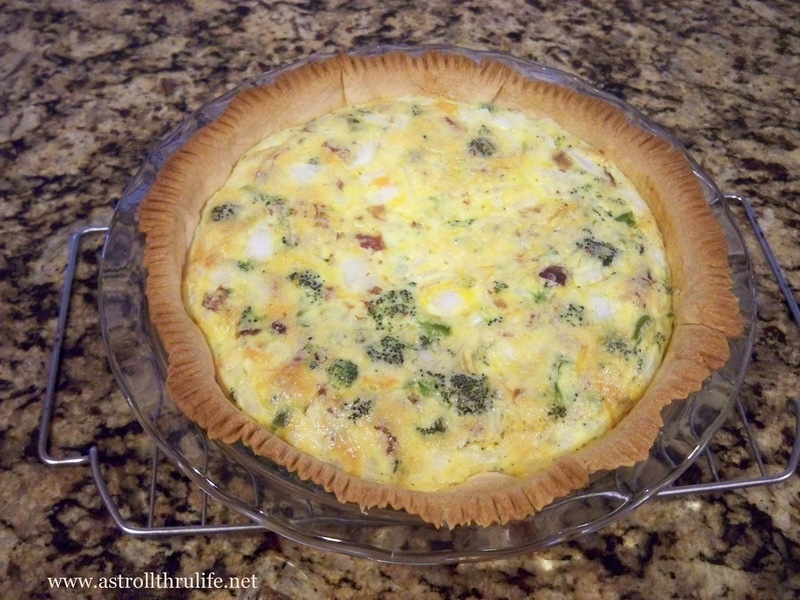 I love quiche, and your recipe makes it simple to prepare! Thanks so much for sharing--and thanks for showing us your handwriting. I love that! This recipe looks so easy and good!! I love quiche, and it does make a great light meal this time of year. I love your blog and all you postings!! I think your blog is where Liz from Savvy Seasons did a home tour. Do you know what happened to her blog? I miss her!! Please contact me at dorianbrackin@yahoo.com Thanks so much!! This looks tasty Marty! I pinned this one and will have to try it. I think I may add in some mushrooms too...:) Thanks for sharing! I think it sounds pretty easy, and I know my family would eat it. Thanks! I have started to really love quiche and wondered how hard it is to make. Your recipe sounds easy and yummy! Thanks for sharing at TTF this week. This looks absolutely delicious and you are right, what a great way to clean out your veggie bin! 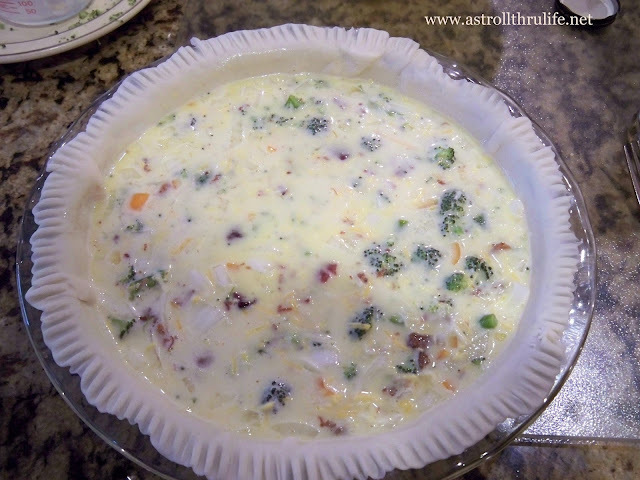 We love quiche - and I'm hungry so this post just made it worse. LOL Visiting from Rattlebridge Farm. This is lookin' good and with a salad, it's a perfect meal. We love quiche..thanks for your recipe. This looks delicious! I love quiche! Thank you for joining Home Sweet Home!